Want to see for yourself how our visual documentation services can deliver total visibility at every phase of your project? 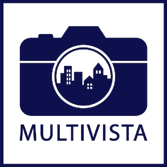 Schedule a demo with Multivista to test drive our video, photography, webcam, 3D, and UAV/drone mapping technologies. By submitting your contact information, you consent to a Multivista representative contacting you.